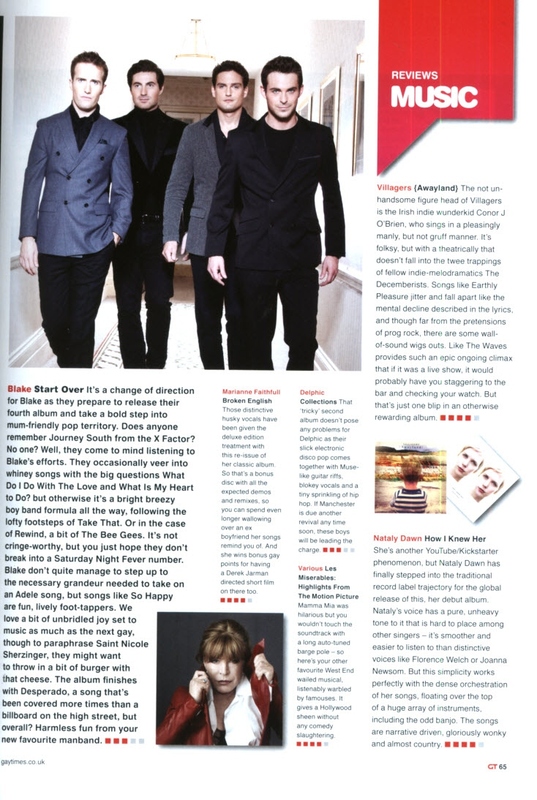 Thank you to ‘Gay Times’ magazine for giving BLAKE’s upcoming album ‘Start Over’ a detailed review in this months copy. The boys have appeared in two previous editions of GT, in support of the Terrence Higgins Trust for HIV/AIDS awareness. The magazine is in all good newsagents now, so grab a copy and enjoy!